The Holy Spirit came to earth to unite us with Jesus in our daily lives. What do you know about the Holy Spirit working in you? 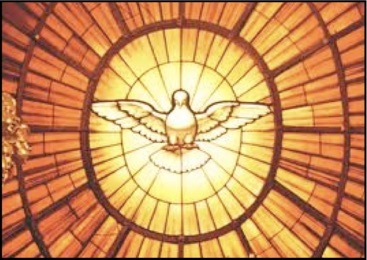 Do you know any of the titles or symbols of the Holy Spirit? When is a time that you have felt the Holy Spirit working in you to make a good choice or to use courage? You will receive the power when the Holy Spirit comes upon you and you shall be my witnesses to the ends of the earth. Telling your child what you are doing to become more Christlike. Encouraging them to let the Holy Spirit work through them to make good choices and reach out to others.